On the 24th February, 2012 nuns from Benedictine Missionary of the Tutzing residing in Peramiho, southern Tanzania, paid a visit to Hanga Abbey for their outing and refreshment. 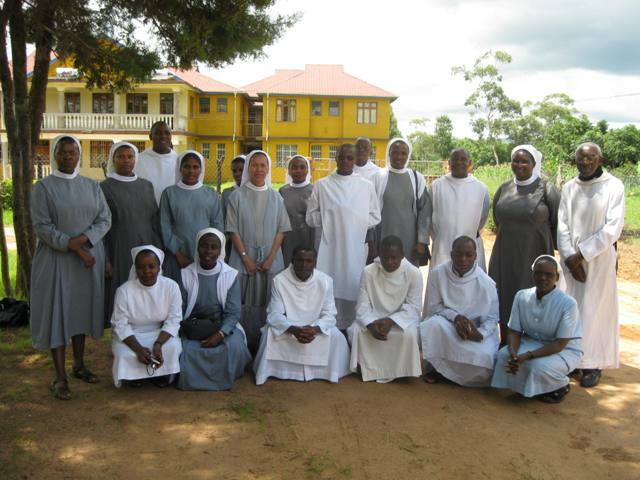 This was a group of nuns in temporal vows soon to make their final profession. They came to Peramiho for preparation for their perpertual vows from different houses of the congregation nameley, Kenya, Uganda, Tanzania, Phillipines and India. While they were at the abbey they had the opportunity of seing projects and activities the monks of Hanga Abbey do. 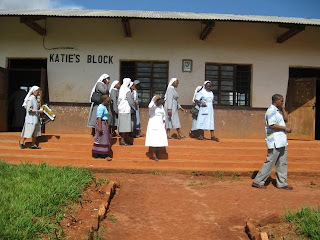 They saw the dispensary, schools (Hanga Seminary, St. Benedict Secondary school, and the Trade school), poultry unit, carpentry, and automechanic workshop to mention but a few. 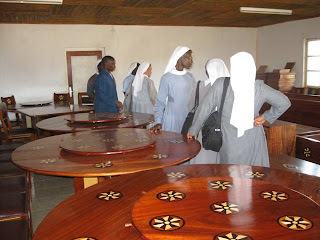 They were amazed and impressed by all that is happening at Hanga Abbey particulary the art work of inlay at the carpentry shop and the poultry unit for the many eggs they saw! At the dispensary they met the monks who work at the abbey dispensary: Frater Lucius Matembo, OSB, Frater Josephat Haule, OSB, and Frater Benedict Kaguti, OSB. In the right photo Frt. Josephat is first on left and Frt. Benedict is first on right. 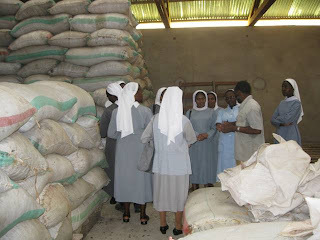 The nuns were amazed at the amount of food srored by Frater Claver, OSB, in the abbey food bank. On the right photo they are mesmerized at the inlay work in the carpentry shop . 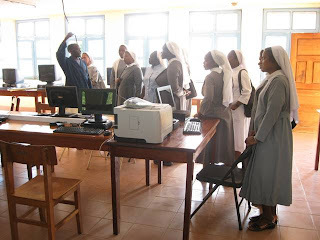 At the Trade School Frater Patrick Mwinuka, OSB, head of the school showed the nuns computer center where internet service is provided for monks and the public. At St. Benedict Secondary school, Fr. 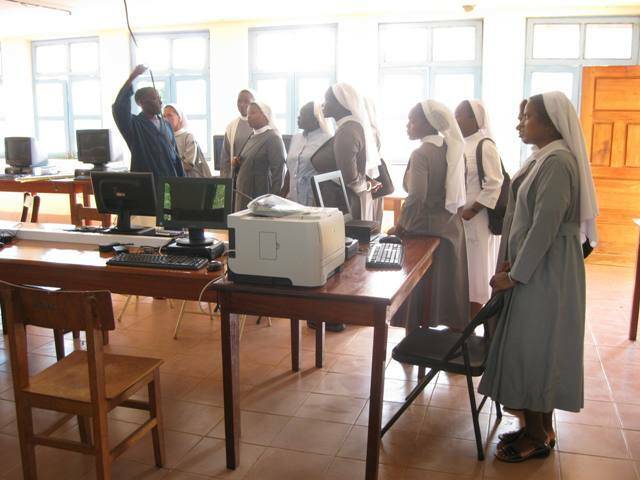 Angelo Mugaga, OSB, the head of the school gave the nuns a tour.